Destin is known for white sand beaches, world-class seafood, and rockin' entertainment. Afternoon or night, it's easy to find great live music and entertainment in Destin, FL no matter where you are in the beach town. With live concerts being one of the top things to do in Destin, FL, rock, reggae, blues, and practically every genre of popular music can be found on any given day. And with lots of free venues, concerts, and limited cover charges, it's easy to enjoy the right entertainment during your beach vacation even while keeping to a budget. HarborWalk Village is one of several popular destinations for live entertainment in the area. The intimate theater hosts entertainment of all varieties. Three time Merlin award winners, Noah and Heather Wells, present their Vegas-style magic shows several nights a week. The excitement doesn't end at the stage, though, as the harbor hosts a whole bunch of restaurants, bars, and gift shops. Although primarily a venue for the music concerts, the HarborWalk Village Theatre also hosts comedy, dance, and even more magic shows year-round. SAVE on tickets to MAXIMUM Magic when booking online at MAXIMUM Magic Theater. Click Here to check for scheduled shows, concerts, and events in Destin! Great food and fun are both to be found at this famous Destin Harbor restaurant. 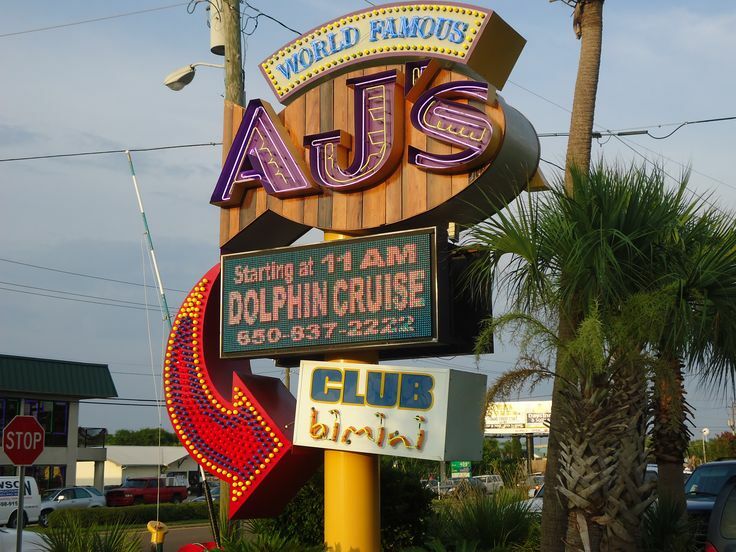 For many travelers, this is the first stop for the finest entertainment in Destin, FL. AJ's offers a double dose of musical bliss, with two separate areas to either kick back your feet, or kick back a sweet dance move. AJ's waterside Tiki Village mainly books solo and duo artists providing the perfect soundscape for your Destin Harbor experience. The Tiki Village is located just behind Aj's restaurant, and is open to the public with an optional drink and food menu. The upstairs Club Bimini Stage is frequented by top 40 and rock bands, accompanied by two fully stocked bars, and a dance floor ready to be trampled by your feet. At night Club Bimini becomes one of the Harbor's hottest night clubs with the freshest DJ's and live bands. *While visiting the Destin Harbor, experience an awesome Watersport Tour with TripShock! 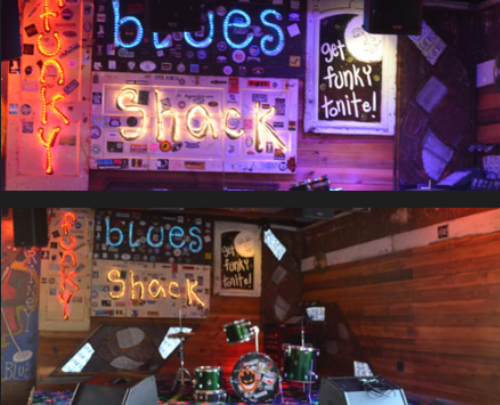 A staple in the Emerald Coast live music community for years, Funky Blues Shack recently moved from its Sandestin location to the heart of Destin, FL. The brand new location is located in proximity to such awesome landmarks as Destin Commons, Crystal Beach, and the Scenic 98 beach road. Nightly bands specializing in funk, blues, and rock bring the noise, and tasty drinks and Italian food ordered fresh from the on-site restaurant Graffiti add a delicious twist to your night out. You'll know you're getting close to Hog's Breath Saloon when you're hit with the smell of mouthwatering barbeque, the sound of ear-pleasing tunes, and the sight of the ever-inviting patio sports bar. 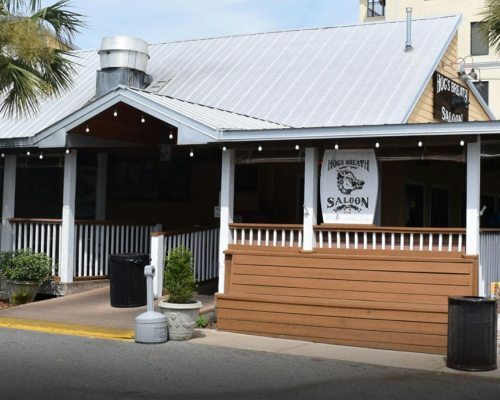 Hog's Breath Saloon gives music lovers the option of two stages; head to the outside patio around dinner time to grab a bite to eat and catch acts playing relaxing acoustic hits, and move inside at night for body rockin' full bands. Club LA is Destin's only music venue devoted to original rock music. While the club is known to hire entertainment ranging from DJ's to Dixieland Country, rock is what they do best. 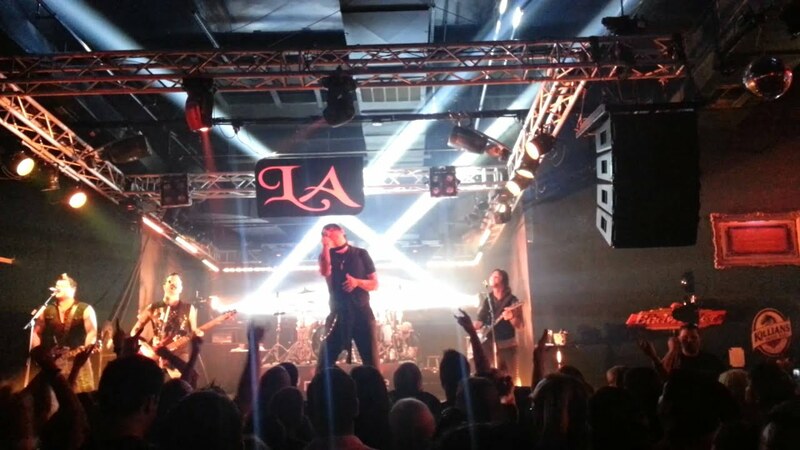 Megastar groups including Chevelle, Everclear, and Alien Ant Farm have taken the stage at Club LA, while regional acts from rock to reggae regularly put on high octane shows. Make sure to check Club LA's event schedule before heading to town, as tickets go quick for many of the concerts featuring popular touring acts!